Street pole banners are a staple in many communities. 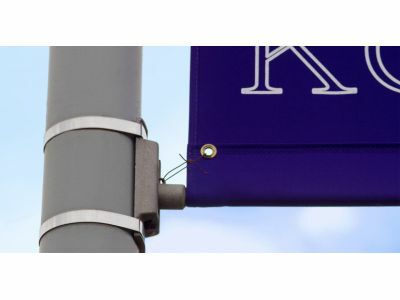 They can be seen lining the streets with a holiday theme, welcoming residents and visitors to the community, or showing college pride in the area around a city or town’s college campus. In this post we will look at three of the most popular reasons for displaying street pole banners. If you’re used to your community having festive banners for every major holiday and seasonal banners in between, it’s always kind of sad when you go to a community that has no banners lining their downtown area. The updating of banners for holidays and the change in seasons makes the town look cared for and welcoming. As mentioned before, banners help welcome people into the community. Many cities elect to have banners on the edges of their downtown area that greet people as they drive through. Oftentimes, the banners are representative of that community. A small-town with a lot of outdoorsmen and women may have fish on their banners, while a town known for its wine may have wine glasses on its banners. Almost every college or university has banners lining the main road in front of the school and all around the college campus. They’re almost always done in the school’s colors and many of them feature their mascot. Another popular thing to do is have the school’s slogan and a picture of actual students adorning the banners, as well. At BannerFlex in Kalamazoo, we have the most innovative and reliable banner bracket hardware in the industry. 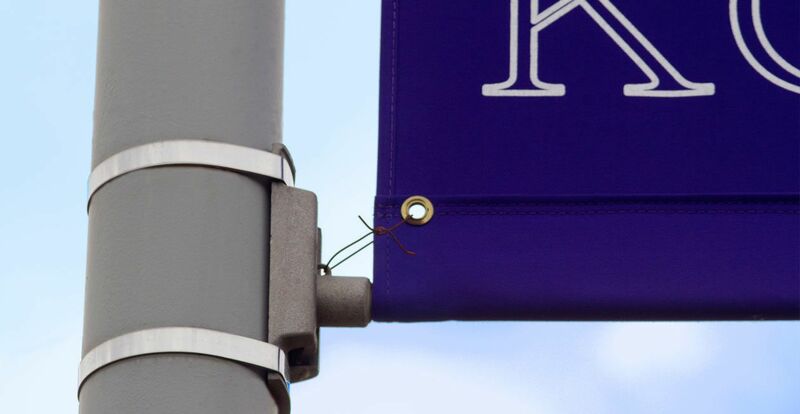 We know the importance of banners for many communities, and believe proper hardware is the best way to showcase banners in their best light as well as ensure their resiliency under the stress of wind.